These are two bedrooms I'd be really happy to wake up to. Not only for their eclectic neo-boho style that keeps all the pros of a laid back, country atmosphere without being heavy and tight but also for that amazing light that is coming through the windows behind the beds (just perfect to wake you up, right?). 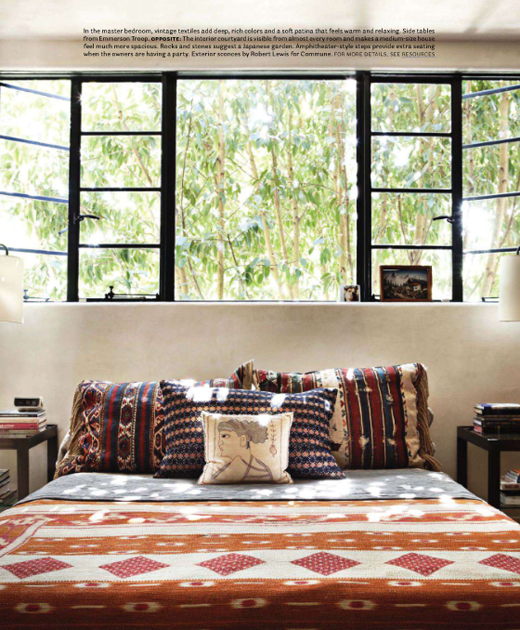 Check all those woven pillows and throws, the natural materials and fresh, the green elements in and out of the rooms. Like, like, like! 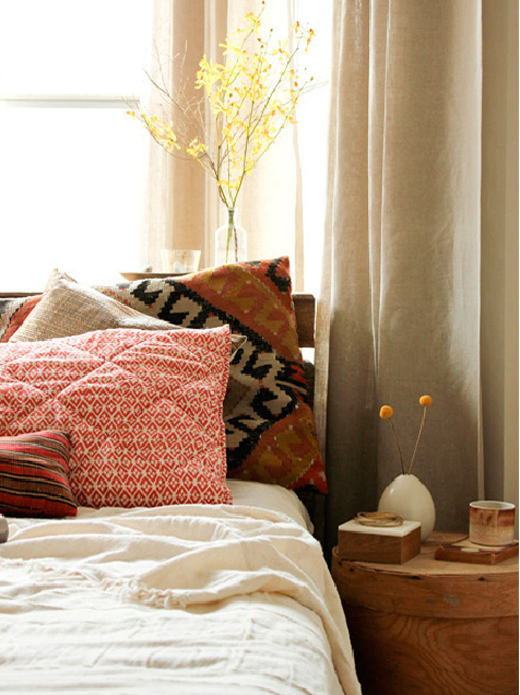 7 comments on "Neo-boho in the bedroom"
Indeed, lovely bedrooms!!!!! Kisses from Rethymno Eleni! The bed, with windows above -looks like heaven! I love the second space - enough colour but not too much. Plus, they have my favourite Billy Balls as well! These are great pics! I want to sleep here! Just want to say I really enjoy ur blog and ur eye for detail. These rooms are awesome. gahh i need to find out where to find bedding like that! absolutely love.